Ian Ramsay is the Harold Ford Professor of Commercial Law and Redmond Barry Distinguished Professor. He is also Director of the Law School’s Centre for Corporate Law and Securities Regulation. Ian practised law in New York and Sydney and is a member of the Corporations Law Committee of the Law Council of Australia. 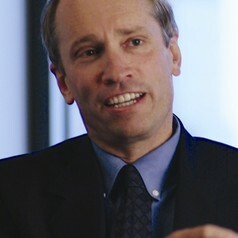 Former positions he has held include Head of the Federal Government inquiry on auditor independence, chair of the independent panel to review the financial system’s external dispute resolution and complaints framework, member of the Takeovers Panel, member of the Australian Securities and Investments Commission's External Advisory Panel, member of the Australian Securities and Investment Commission Enforcement Review Taskforce, member of the Australian Government's Corporations and Markets Advisory Committee, member of the Audit Quality Review Board, member of the Australian Government's Auditors and Liquidators Disciplinary Board, member of the Law Committee of the Australian Institute of Company Directors and member of the International Federation of Accountants taskforce on rebuilding confidence in financial reporting. Ian has published extensively on corporate law, corporate governance and financial regulation issues both internationally and in Australia.